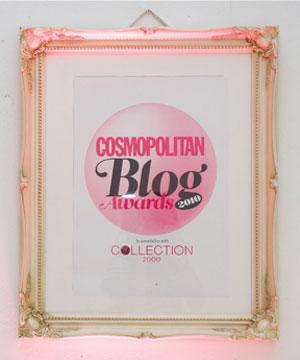 Want to give a truly wonderful, high quality hair gift this year to the ladies in your life? Of copurse you do. Well after searching high and low, and raving about some, and not rating some others, I’ve had two sets I really really recommend. The first one is the Redken You’ve Got The Power set, which contains the perfect caring, nourishing and protecting hair set by the salon professional brand. 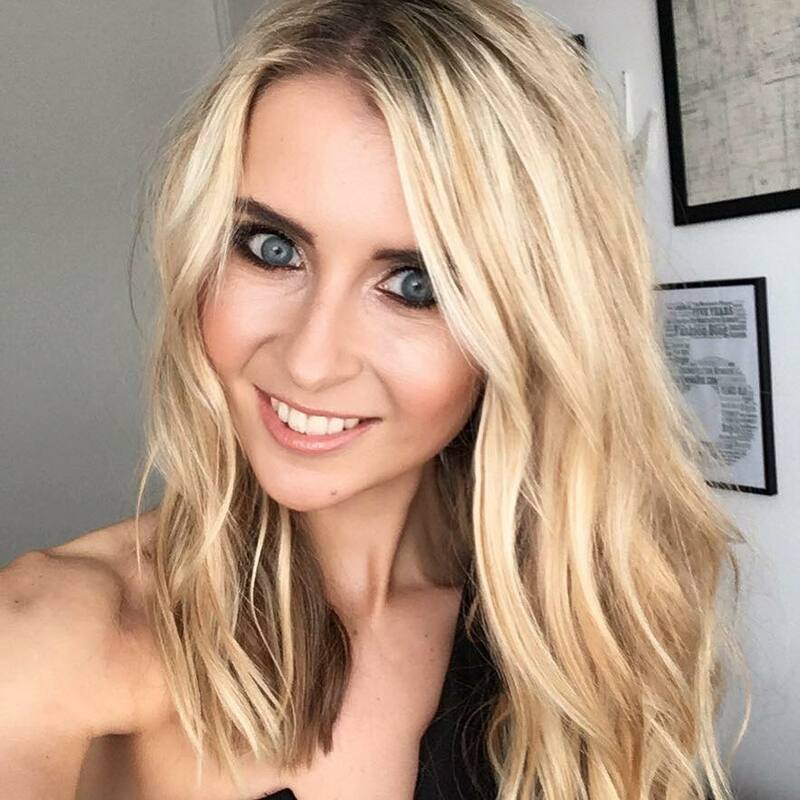 I reviewed it previously here, and due to my love already for their Extreme Blondage set (the purple shampoo), I can’t get enough of Redken. 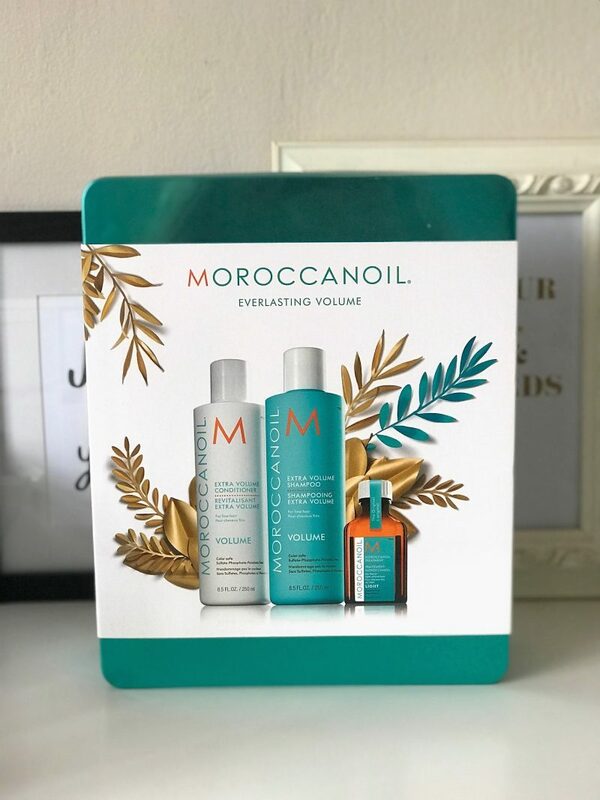 And the second one is this luxurious Moroccanoil Everlasting Volume set, perfect for those with dry, frizzy hair, yet also for those with limp, flat hair that needs that extra ‘oomph’. This gorgeous turquoise tin is the perfect gift set to spoil yourself or a loved one. 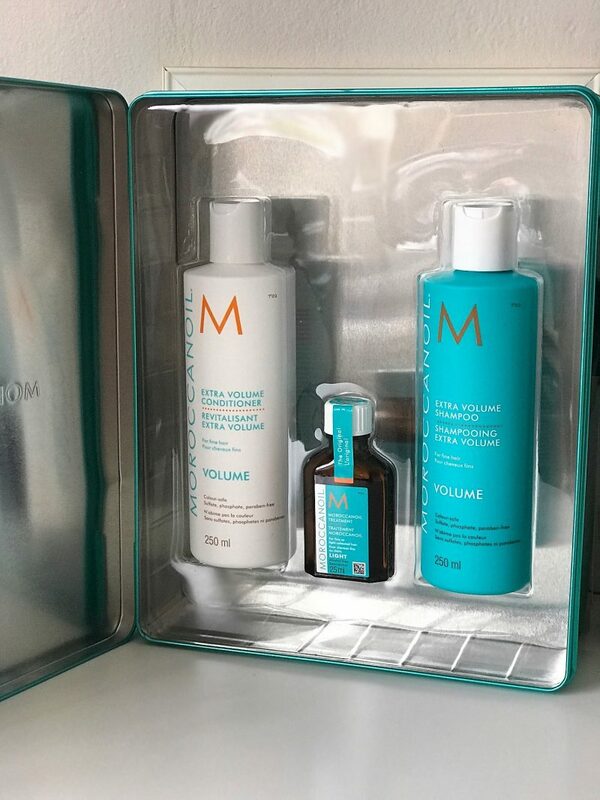 You’ll struggle to find anyone who doesn’t appreciate a good quality, complementing hair set, especially one so beautifully packaged like this Moroccanoil Volume Trio Gift Set. 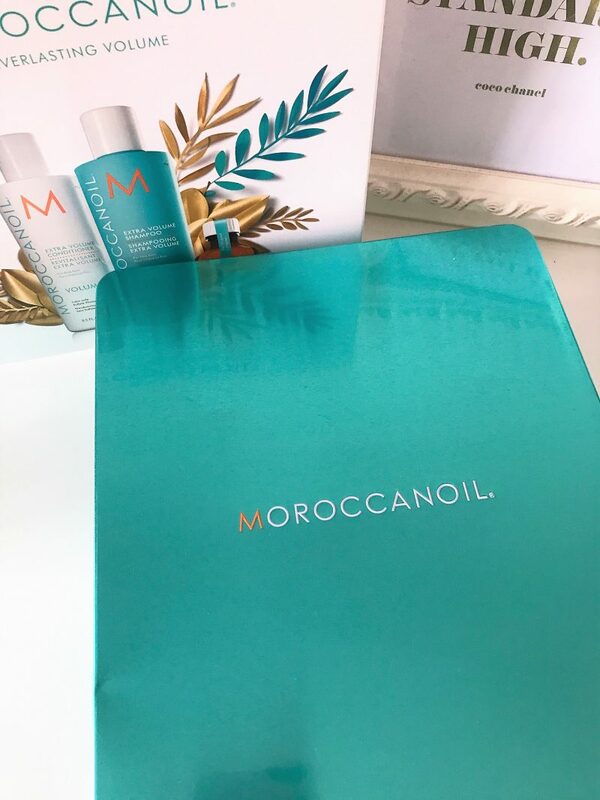 Moroccanoil products are loved due to being rich with argan oil, which cares for the hair, leaving it fully nourished and moisturised without sitting too heavy or greasy on the hair. 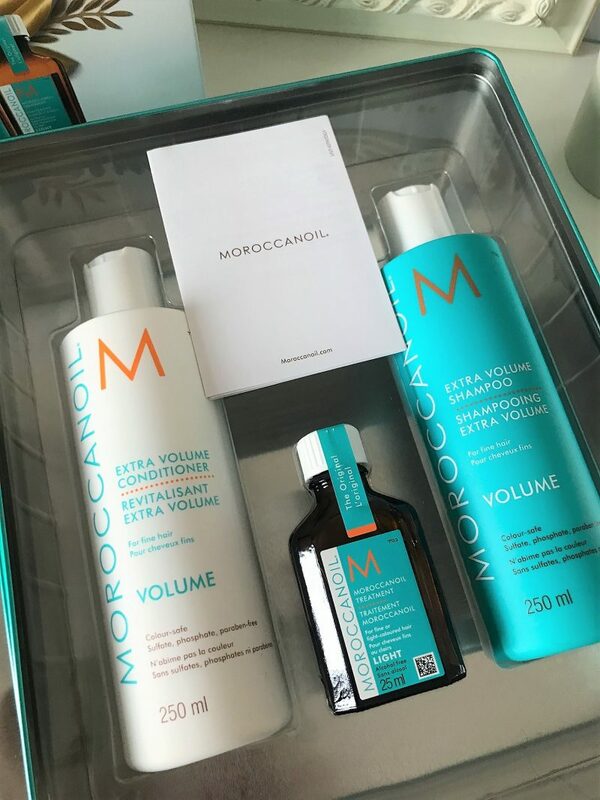 I personally love the Extra Volume Shampoo and Conditioner when used together, because although they add shine and condition to my hair, they work wonderfully to naturally plump my hair strands. 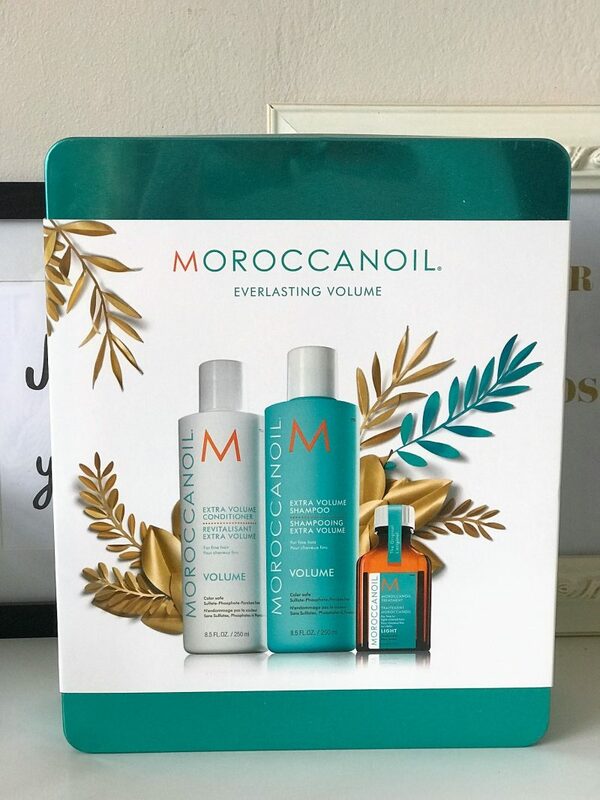 I had a go at using the Moroccanoil Treatment Light which comes in the set, which is the brands original foundation for hairstyling. Basically, you have a bit of flexibility with this. It can be used as a conditioning treatment to apply to damp hair before drying, to help with styling before blow drying into waves or curls, or a finishing tool on much dryer, unruly hair to add shine and weight. All the products are super rich in argan oil and reparative proteins, but specifically formulated for the delicate needs of fine and light-colored hair. I was a little worried the range might feel heavy on my ultra fine hair, but they didn’t at all. 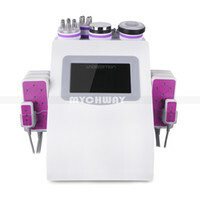 The set retails at various online retailers such as All Beauty and Hair Trade, for around £38, depending what sales are on!